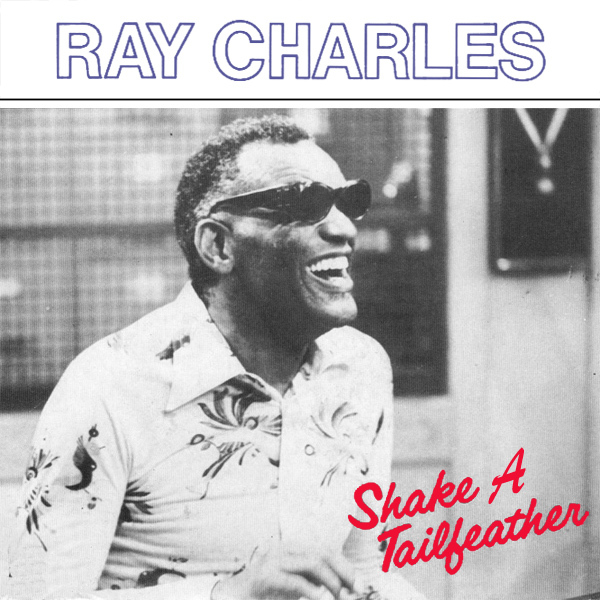 Shake A Tailfeather is the name of this song by Ray Charles (though it is often mistakenly called Shake Your Tail Feather). On the original cover we find Mr Charles looking very cheerful and the reason why is revealed on the remix, where we find a happy looking hottie shaking a tail-feather in front of her. We are not quite sure what bird has provided the feather, maybe a flamingo as it is pink? Dye!